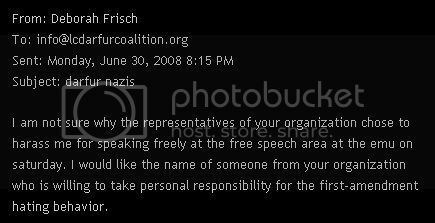 Frisch Continues Harassment of Darfur Peeps! Oh, yeah. They're totally going to give the crazee a name. Astoundingly stupid, that Debbie, PhuD.